DELRAY BEACH, FL: World No. 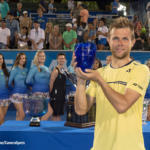 13 Sam Querrey is playing the best tennis of his career, and the 30-year-old American’s commitment to play in Delray Beach Open’s 2018 ATP World Tour event returns another former champ to an already blockbuster lineup. The good news doesn’t stop there: 2014 Wimbledon quarterfinalist Nick Kyrgios of Australia and Top 50 Canadian teenager Denis Shapovalov, two of the most colorful and top young stars on the ATP World Tour, will be making Delray Beach debuts. 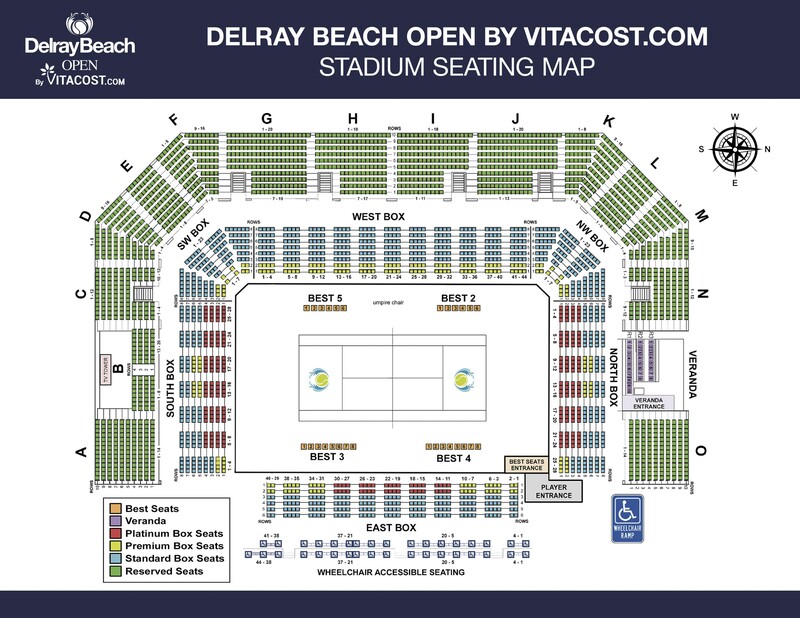 The 10-day ATP pro tennis event is scheduled for February 16-25 at the Delray Beach Stadium & Tennis Center. The newest trio joins three other singles stars already booked into the 2018 field: world No. 9 and defending champion Jack Sock, world No. 11 and 2011 Delray Beach champion Juan Martin del Potro of Argentina and former world No. 4 Milos Raonic of Canada. The 16-time Grand Slam champion and four-time Delray Beach champion Bryan Brothers highlight the 16-team doubles field. Since committing to Delray Beach, Sock and del Potro have played lights-out tennis. Sock won the regular season-ending Master Series 1000 tournament in Paris, rocketing the Kansas City resident into the Top 10 for the first time in his career, and qualifying him for the ATP World Tour Finals. The 2017 Finals, which are played in London, are reserved for the best eight players from the just-completed season. Sock is the first American playing in the event since Mardy Fish qualified in 2011. Del Potro narrowly missed qualifying for the Finals, with his inclusion coming down to the Paris event where he reached the quarterfinals. The Argentine’s late-season run included winning the Stockholm title and reaching the final in Basel. “We were saying over the summer that we already had our best field in history, but with Sock and Delpo’s incredible finish to 2017 and with the new trio who have signed with us —that puts it over the top,” said tournament director Mark Baron. Querrey has enjoyed an amazing two-year run that began with his 2016 Delray Beach Open title. Since then, he has reached the quarterfinals or better at three Grand Slam events, made a semifinal appearance at Wimbledon, reached a career-high No. 13 ranking, and won ATP World Tour titles in Acapulco and Los Cabos to highlight his 2017 season. While Querrey will be making his 10th appearance in Delray Beach, the buzz surrounding the two young stars can’t be overstated. 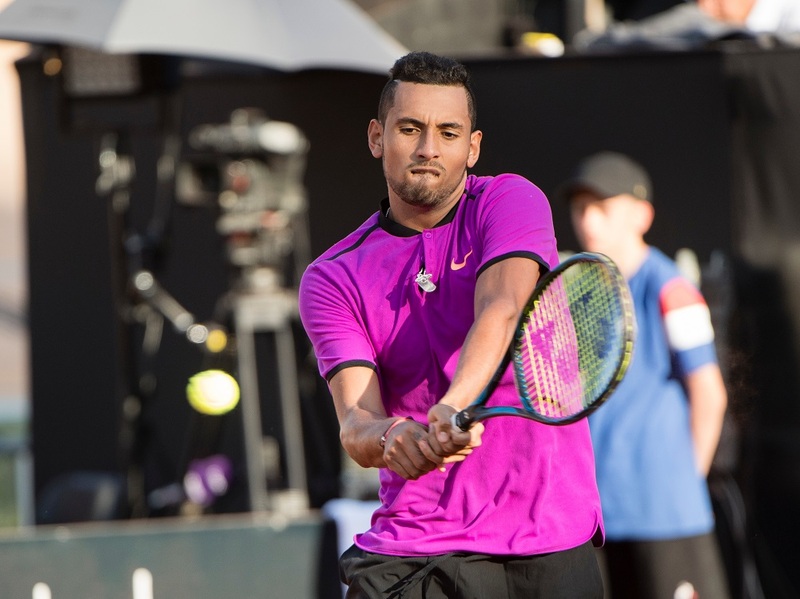 Kyrgios, whose coaching team includes former ATP pro and Boca Raton resident Sebastien Grosjean, is looking forward to his first appearance in Delray Beach. The Israeli-born Shapovalov has already qualified for the ATP World Tour’s new eight-player “Next Gen” Finals that features the world’s best under-21 players. The 18-year-old became the youngest player in the Top 100 in August—right on cue before breakout tournaments at the US Open and Master Series 1000 in Montreal. When the six players arrive in Delray Beach in February, the tournament could have five in the Top 20—a first for the ATP 250 series event. Shapovalov’s first-round match has been scheduled for Tuesday, Feb. 20 in the 2:30 pm time slot, giving the day session an all-Canadian flair with 2017 Delray Beach Open runner-up Raonic featured in the 12:30 pm match. Del Potro will play in Tuesday’s nightcap at 8:00 pm. 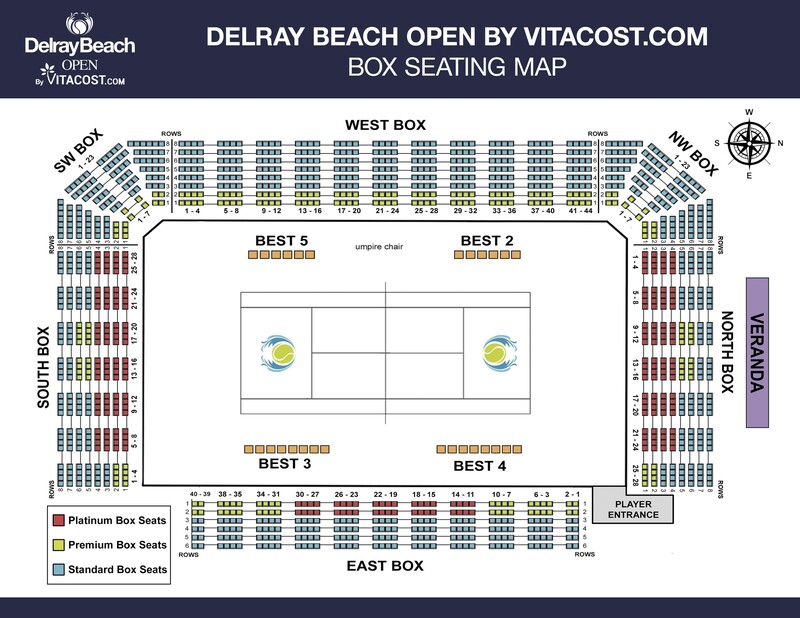 A complete schedule of all Delray Beach Open match times and pre-scheduled player first-round matches is posted at 2018 Delray Beach Open Schedule. DELRAY BEACH, FL: The Delray Beach Open is making its annual shout-out to players in the amateur tennis-playing community to sign up for its “Survivor” event, a pre-qualifying tournament that will be held Nov. 18-21 at the Pro World Tennis Academy (651 Egret Circle, Delray Beach). Winning the “Survivor” event earns a wild card into the Delray Beach Open’s 16-player qualifying tournament (Feb. 17-18), where the top four players move into the field of the $599,345 ATP World Tour event (Feb. 19-25). The USTA Florida Men’s Open-sanctioned “Survivor” event annually attracts top local club players and club pros, as well as current college players and nationally-ranked juniors. The deadline to enter the single-elimination tournament is Wednesday, November 15, at 11:59 pm EST. All participants receive two complimentary tickets to the 2018 Delray Beach Open ATP Champions Tour matches and a discount on additional sessions. To register for the “Survivor” tournament, go to: 2017 Pre-Qualifying “Survivor” Wild Card Tournament Registration and use ID # 150602317 to register. More information is available at https://yellowtennisball.com/Survivor. Shapovalov photo by Getty Images. Kyrgios photo by Peter Staples/ATP Tour.